Tickets are now available for this year’s Detector Fund Raising Raffle. The proceeds from this raffle will go to the 49th ANNUAL Indian Territory Treasure Hunt 2020 in the form of coins and prizes. Last year’s DFR Raffle proceeds will be in this year’s 48th ANNUAL Indian Territory Treasure Hunt. The drawing for the detector will be held Sunday, May 26, 2019 at the 48th ANNUAL Indian Territory Treasure Hunt. 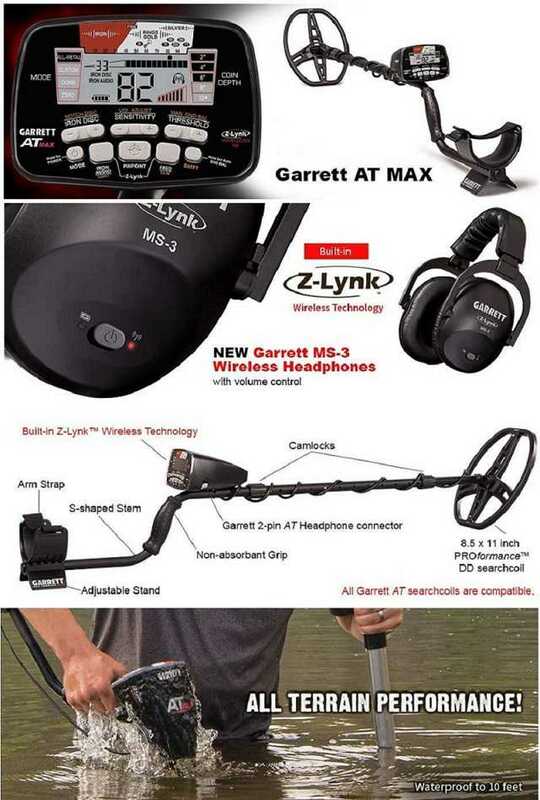 The detector this year is a Garrett AT MAX, retail price $849.95, donated by GARRET METAL DETECTORS - (800) 527-4011.